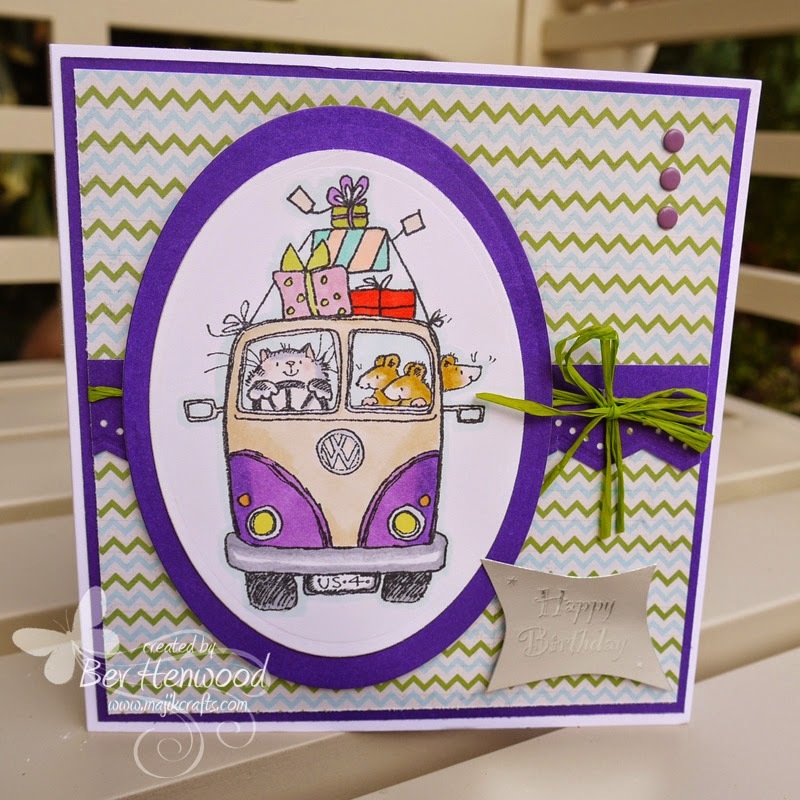 Majik Crafts: All Aboard The Party Bus! 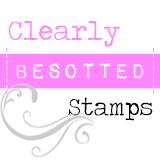 Well it was hubby's Birthday on the 4th September and I had this Penny Black stamp lined up for his card. He has recently bought a VW Transporter van (a modern one, not a vintage one like this) and I just had to use it. Backing Papers: I think this was free with a magazine? Funnily enough, one of my favourite Blog Ladies 'Jules' posted this card on her blog a few days after I had made this ~ Spooky!! Okay, that's me for today ~ short and sweet. Thank you for visiting my little blog and for any most welcome comments you may make. Great layout and colours. I bet your hubby loved it!! Hope he had a happy day. 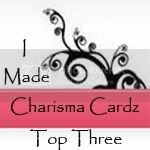 Just wanted to say thank you very much for your very kind comment on my blog post. You are very kind. Haven't caught up with you since we went to Stratford. We were only there for three nights but chilled far too much. It has taken a bit of "winding ourselves back up to full speed again".